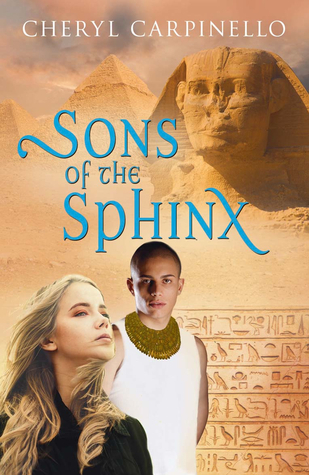 Today I’m delighted to be part of Cheryl Carpinello’s Blog Tour for Sons of the Sphinx. You’ll find lots of information and an excerpt from the book, a giveaway for a $50 gift card PLUS an EXCLUSIVE interview! Hi Cheryl, it’s great to have you here. Regular readers will probably know you’re a fellow BookElf, so we worked together from time to time. They’ve probably also seen my review of Young Knights – A King’s Ransom. You’ve been doing British History in the past, what made you switch to Ancient Egypt? My fascination with history—ancient and medieval—stems from my college and teaching years. Next to my love of Arthurian Legend is my almost cult worship for the literature/culture of the ancient worlds. Since our visit to Egypt in 2008, a story idea had been building in my subconscious. When the King Tut exhibit came to Denver in 2010, that idea jellied into Tutankhamen Speaks and Sons of the Sphinx. Ah yes, I saw an earlier King Tut tour in London. I’ve also been to the Museum in Cairo and saw the death mask there, along with some great other artefacts. That’s a problem, of course – there’s always a danger your readers have been to places you haven’t. Apart from setting them in the distant past, what else do you do to make them as real as possible? 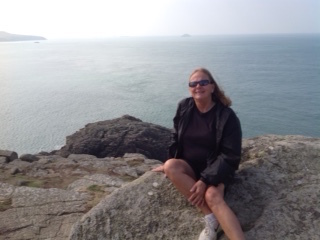 When I wrote my first two Arthurian Legend books, my settings were based on extensive research including guidebooks, maps, websites for specific places, and the historical texts I’d taught. While that served me well for the most part, it definitely was not exact, as you well know, Jemima. In Young Knights of the Round Table: The King’s Ransom, you caught the inaccuracy regarding the distance my characters traveled from Pembroke Castle to St. David’s Head. … ah, yes, sorry about that. I was in one of my more Hermione modes then (embarrassed). What about Guinevere? For the next book of Guinevere, I also researched second hand resources, but this time I did first hand research by actually touring the UK for three weeks in 2014. I took tons of pictures and recorded sounds, smell, and conversations. I wished we’d caught up then – maybe next time! I know – we must plan it better next time! For Sons of the Sphinx, I used my visit to Egypt and three tours of King Tut’s exhibit in the US to solidify my setting. I read several historical texts on Tutankhamen’s family and the city of Ahket-Aten. And while I include actual historical events/customs that readers can research for more information, I also enjoy putting my own spin on history. In Sons of the Sphinx, I’ve added details that are hinted at but not definitive in historical references. In addition, the emotions that Tut and Rosa experience pull readers into the moment of the story and, subsequently, into the setting. That sounds great – I’m looking forward to reading it. What else are you working on at present? Currently, I’m working on a sequel to Guinevere: On the Eve of Legend. I always meant for this to be a stand alone, but over the years, Cedwyn—Guinevere’s friend—has been pressing me to make him a knight. I finally gave in. Guinevere: At the Dawn of Legend—Cedwyn’s Story in the works. My projected date for publication was late fall 2015, but I’m realistically looking at early spring 2016. Well, I can identify with that – characters have a habit of demanding the limelight, I find – and with the schedule too. I wish you luck with it, and thanks for the insights into the difficulties of writing historical books with real people and places! For more tour stops, click the button. Hi Jemima. Thank you so much for hosting us! Don’t be embarrassed about pointing out errors or areas for improvement. Helps me to be a better writer & it got me to the UK! I do like this! I’ve been to Egypt, seen the King Tut exhibit, the pyramids and temple and Luxor. This is one to put on my list for my younger (way younger) friends. Don’t miss S W Lothian’s time travel series, too, Noelle. I’ll have to look up which has a really fun switch between ancient and modern Cairo, but I know I’ve reviewed it on here. Thank you so much for stopping by. Relive your visit to Egypt in Sons of the Sphinx! Super interview. I enjoyed Sons of the Sphinx immensely and also reviewed.